NEWARK, N.J.--(BUSINESS WIRE)-- Prudential Financial, Inc. (NYSE:PRU) today announced that its Board of Directors has approved the appointment of Scott Sleyster to executive vice president and chief operating officer, International Businesses of Prudential, and Ken Tanji to executive vice president and chief financial officer. These appointments follow the Prudential leadership succession plan announced last week. Sleyster, who has served as senior vice president and chief investment officer since 2012, will report to Charles Lowrey, the Prudential CEO and chairman-elect, in his new role. 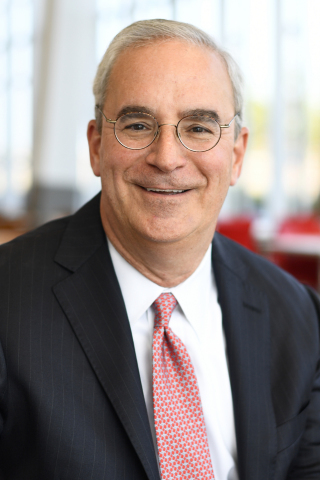 Sleyster previously served as head of Prudential’s Full-Service Retirement business, president of Prudential’s Guaranteed Products business, and chief financial officer of Prudential’s Employee Benefits Division, and other leadership roles during his 31-year tenure with the company. Tanji, who has served as senior vice president and treasurer since 2013, will report to vice chairman Robert Falzon. Before becoming treasurer, Tanji served as chief financial officer of Prudential’s International Businesses. In his 30-year tenure with the company, he has held a variety of finance leadership positions, including within Prudential Annuities, Prudential Investment Management (now PGIM) and Prudential Securities. Sleyster and Tanji will join the Prudential executive leadership team as executive officers. “This next phase of leadership appointments underscores the depth and strength of our talent, as well as the thoughtful approach we are taking to succession,” said Vice Chairman Mark Grier. Additionally, Timothy Schmidt, Prudential’s head of Global Portfolio Management, will be elevated to chief investment officer, reporting to Robert Falzon. He has served for eight years in leadership positions within Prudential’s Chief Investment Office and previously served as CFO of MetLife’s Individual Business. Nandini Mongia, currently CFO of Prudential Retirement, will be elevated to Prudential’s treasurer, reporting to Ken Tanji. Prior to joining Prudential in 2017, Mongia was an investment banker at firms including Deutsche Bank and Credit Suisse, and previously served in business planning and management consulting roles. All roles will be effective December 1, 2018.